sigboy40 - Brian Enos's Forums... Maku mozo! I preload my right foot and pivot indoors. Outdoors I do I smooth looking 3 pt spin to bring my legs around. During it my legs are moving, my gun is coming out, and my head is acquiring the target. I can't imagine trying to pivot in cleats. any of you guys done the fast test? If I remember correctly, a true FAST drill on a 3x5 card, from concealment, anything under 5 is considered impressive. Perhaps society has reached a point where lack luster performance is acceptable, hence the reason 'multitasking' is so popular. Society would rather see many things done poorly than one thing done completely. The way I do it, and explain it, is to get your push/pull down, after that rotate your elbows up to bring the 'big dumb muscles' into play and apply side pressure to the pistol. I run a ZEV stainless guiderod, uncaptured, with a 14lb spring. A reset mechanism for a plate rack? IDPA SSP Glock 34 gen 4 ... Which SS guide rod ? Does anybody know if you can run the ZEV captured in the gen 4? I can't do coffee before a match, nor do I dare use my pure workout supplement, they already make me want to rob a bank. Last match I had a coffee before hand, no where near enough water, and couldn't focus on the sights. I hadn't thought of trying my aminios, that could help. Probably best would be a light jog, stretching, a good breakfast with fruit and eggs, followed by lots of water and aminios. Call it the best of both worlds. I'm hoping the new characters will add a bit more depth and take the bored predictability out of it. Tell me you didn't get excited when Glenn punched out Abraham? Who wants to race me to A class? Bombed every stage. Even shot a few with a zero hit factor. Luckily you can't go backwards. the follower is probably hanging up on the mag extension. sand it a little more. So I have a gen 4, and when I first tried loading them up I got 17. I sanded them and got 20 in two, but only 18 in that last one. And it is a TIGHT 18. I will try loading it all the way up and smacking it on the table. Even using a loader I couldn't get anymore in there. And as far as sanding it, I have already taken more off of that one than either of my other two.. I've been known to be wrong. I have two dawson and one TTI base pads, 2 out of 3 mags needed no alteration to get 20. I do however have a dawson that only loads to 17. Looks like I will try it myself and report back. Do the TTI base pads come with springs? Also, gen 4 followers don't need to be trimmed or messed with, they're already cut down from the factory. I've had some issues with idpa range officers when I drop mags. You can drop a mag without going to slide lock, you just have to make sure it's empty. All of production is scored minor, so you don't have an issue there. Minor power factor is 125-164.999 165 and up is major power factor. The formula is pretty simple. Bullet weight times velocity divided by a thousand equals power factor. Most factory 9mm ammo will make minor, 40 and 45 will make major. For instance, in limited 10 I run a 165gr bullet at 1,050 fps. Gives me a power factor of 173. Some guys run this much closer, but it works for me. 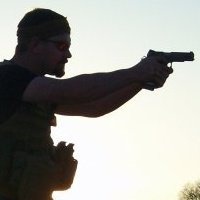 In production, I run the same 165gr bullet at 900fps, that comes out to 148. Make sense?